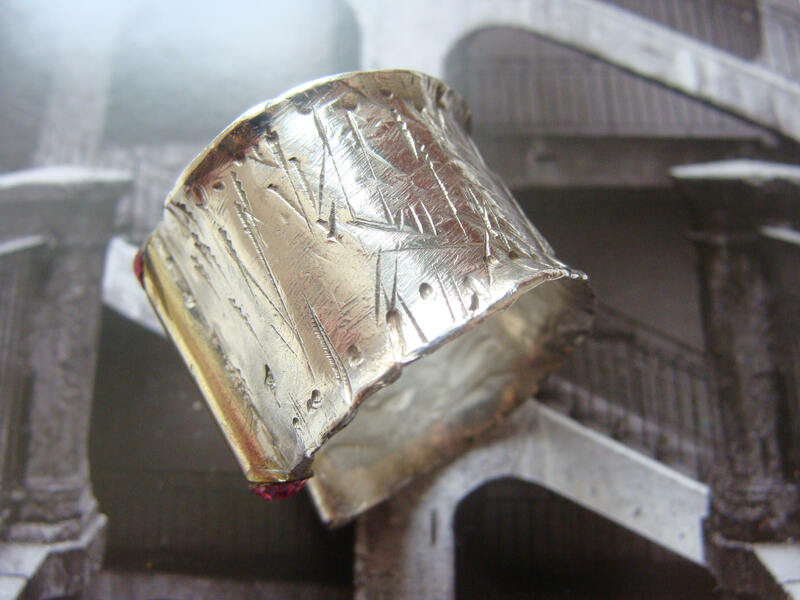 Sterling silver ring, 925 °, ribbon shaped, hammered, entirely handmade. 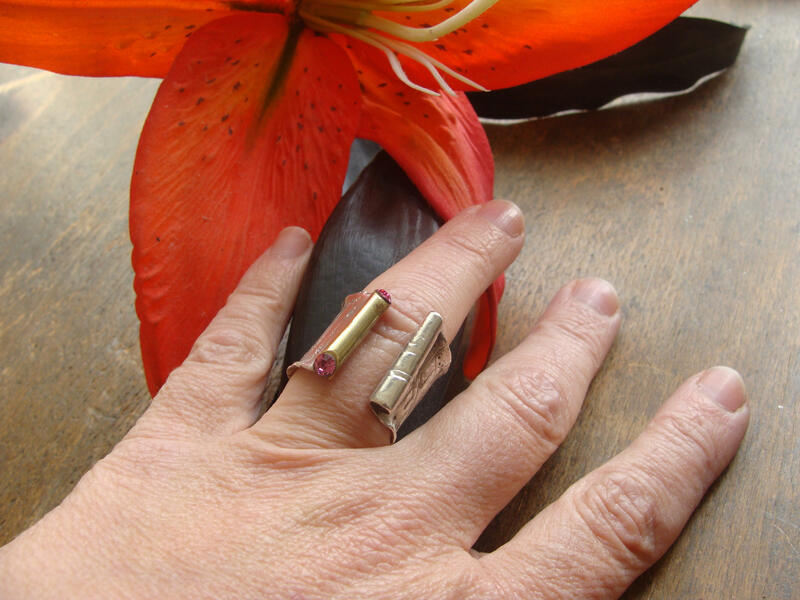 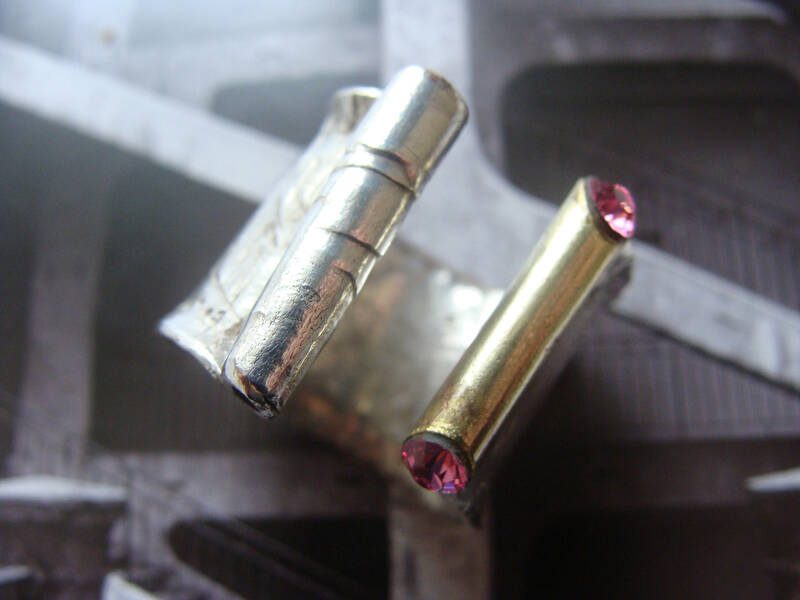 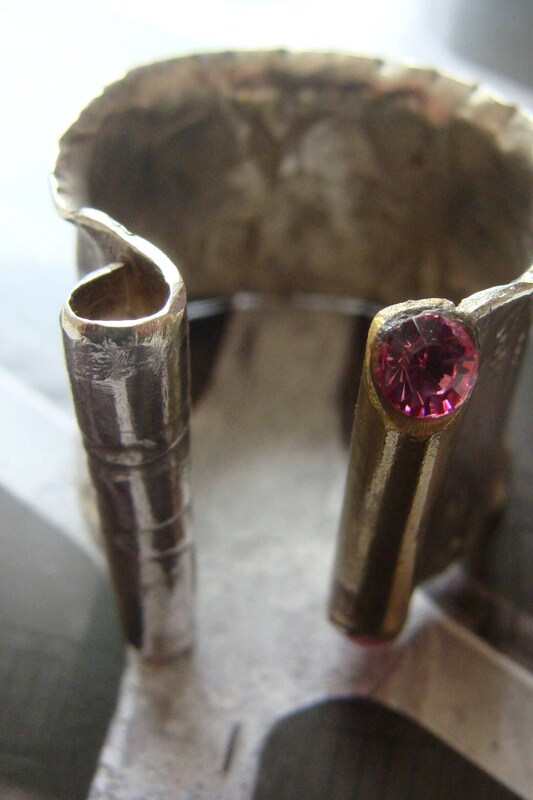 It is decorated with two synthetic pink stones on a brass tube. 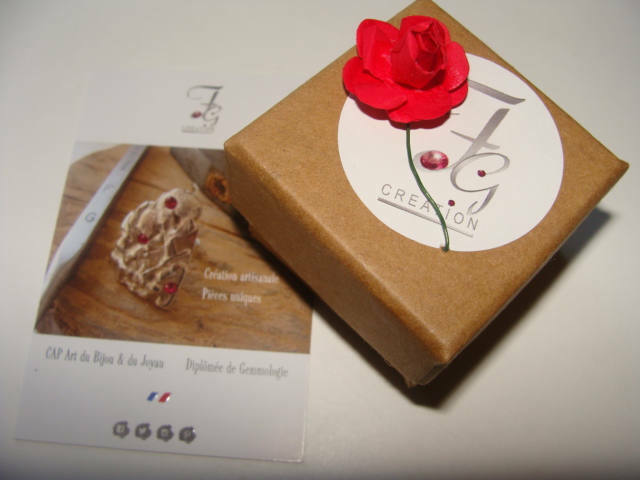 Unique piece, manufactured according to the rules of art in my workshop Lyonnais!